Fresh from releasing ‘Kissy Sell Out’s Mixmag Blowout’ compilation in partnership with Mixmag early in September, the UK house and speed garage DJ delivers a new EP available on October 28 via San City High. Including fresh edits and exclusive originals of party tunes ranging from garage, house and trap, the opening track of the ‘San City High EP’ is a remix of ‘Take It Lying Down’ by DrDr, a trio hailing from the UK’s seaside town of Brighton. Two of the opening tracks feature newly-signed San City All Star Brookson at the production controls, where assisting in the programming of DrDr, he sprinkles shimmering chords over vocalist Donna Curson’s bright, uplifting voice to good effect. The second track sees Brookson taking over the reigns completely with his deep house joint ‘Going V.I.P.’ - an instant old school sounding track that’s already sneaking its way into the sets of DJs all over London’s revitalised garage scene. 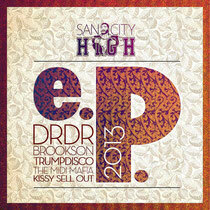 ‘San City High EP’ features three appearances by the eccentric DJ/producer, kicking off with a collab, pitting his melodies against the Australian DJ/producer, and recent Deadmau5 signing, Trumpdisco, who remixes ‘The Big Red One’. 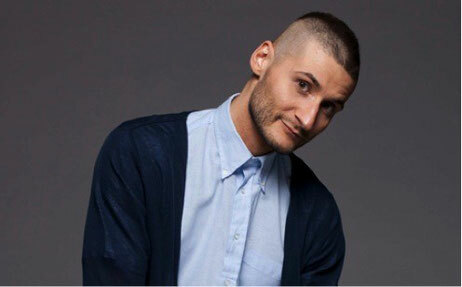 Trumpdisco also features on remix duties for Kissy’s ‘Under Arrest’ - the pond crossing USA hook-up with, 50 Cent & Justin Bieber producers, The MIDI Mafia, taken from SCH’s ‘All Stars’ album earlier this year.Finally, ‘You’re Not The One’ affirms why Kissy consistently remains in touch with today’s sounds.